Every industry has its own set of acronyms. Medicine has terms like ICU. The tech industry has IoT. And for anyone who deals with collecting customer payments, we have DSO. WHY SHOULD I CARE ABOUT DSO? For example, let’s say at the end of July you have $600,000 that customers owe you. That’s your accounts receivable. You billed $1,000,000 during the month. That’s your total credit sales. And there are 31 days in July. DSO TIME SPAN: WHAT’S RIGHT FOR YOU? In the area where Derek’s Building Supplies operates, sales are quite seasonal. If Derek were to measure DSO using a monthly formula, he might get a misleading result when coming from a slow month into a busy month. His DSO might look unreasonably low because some of the amount in Accounts Receivable was left over from the prior month that was quite slow, but is measured against this month, which is quite busy. Rule of Thumb #1: In seasonal businesses, use an annual DSO calculation to provide a more consistent calculation and clearer trending. This lucky business happens to be growing rapidly. Sales this month were three times as much as they were in the same month last year, but still fluctuate from month to month. If Pelligrino were to use an annual DSO calculation, they would be comparing receivables that happened in recent months to sales numbers that were partially generated a year ago when it was a much smaller company. This would make the DSO look unreasonably high. Rule of Thumb #2: In growing (or contracting) businesses, use a 3-month DSO calculation to provide a better basis for comparison and clearer trending. Although calculating your DSO at any given time gives you great information about the current state of your accounts receivable efforts, the magic really comes when you start to trend it. 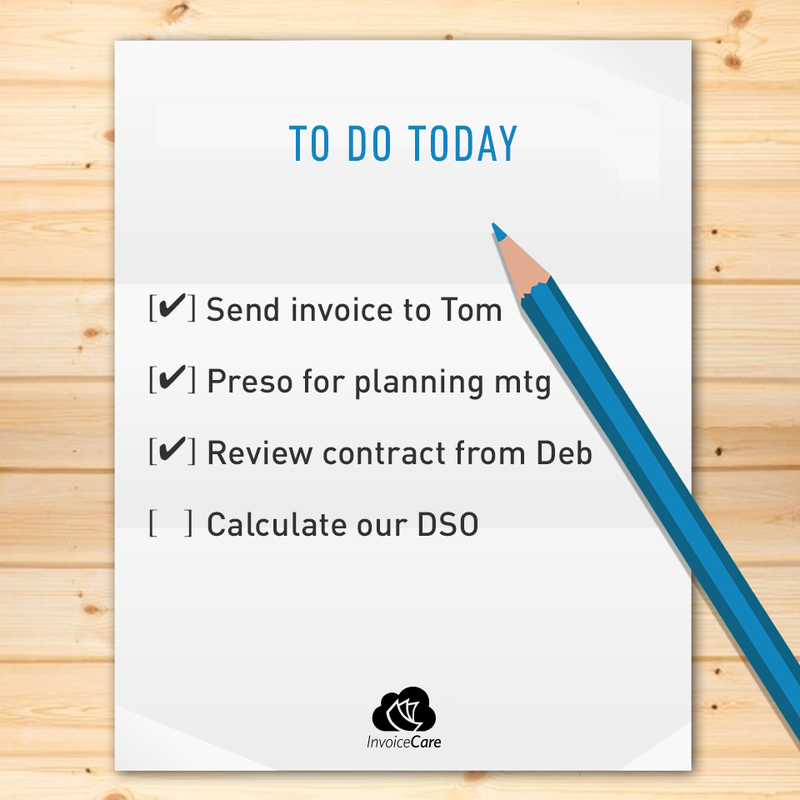 The ideal time to calculate DSO is on either the first or last day of the month. If you don’t already record your month-ending accounts receivable numbers, consider adding a calendar item on the first day of every month to remind you to capture it. Understanding how your DSO moves over time or in response to certain collections efforts can go a long way towards getting you paid faster! Do you have a DSO story to share? Tell me about it in the comments below.